Ltd Edition of 350 prints. Looking down from the heights of Great Staple Tor the artist has painted the sweeping landscape of Middle Staple Tor and Pew Tor, down through the valleys of south Devon and finally to the sea at Plymouth Sound. 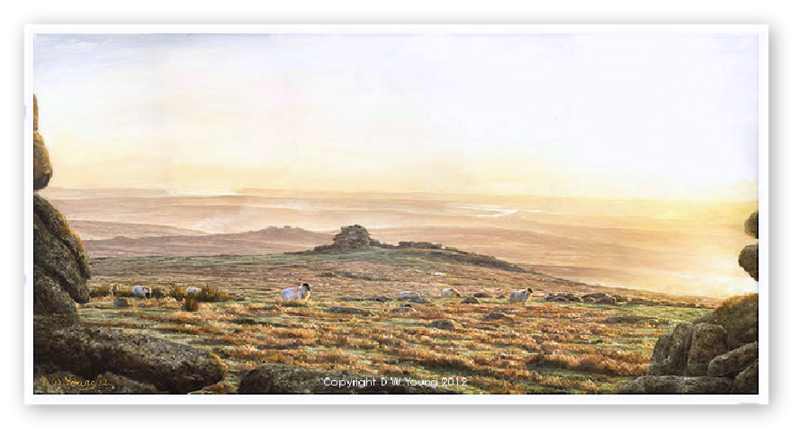 This great panorama has been captured in the diminishing warm light of a clear winters day.